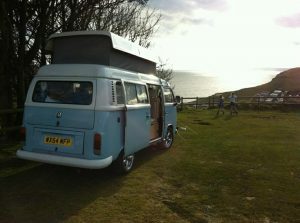 Hunt down the BEST prices for Campervan and Motorhome holiday hire in Wales. Find amazing RV, Camper Van or Motorhome hire deals in Wales – brought to you by Campervanhire.com and Outdoorsy – one of the world’s most experienced and trusted Motorhome Booking Agents, booking thousands of Motorhome holidays each year! Visit Wales with a hired campervan and soak in the excitement and adventure of this wonderful country. With its natural beauty and host of activities, Wales is one of Europe’s outstanding destinations for a campervan holiday. Wales has a huge range of sights and attractions to entertain the campervan holidaymaker, from the snowy peaks of Snowdonia to the rugged cliffs of the Pembrokeshire coastline. Whether you are taking a family campervan holiday or just some time away with good friends, Wales offers an experience like no other. With so much to see and do it can be difficult deciding what to fit in and what to leave out on your holiday. But with campervan hire the decisions are so much easier – you have the freedom to move around the country at leisure, so you really can see everything you want to. Wales is renowned for its spectacular scenery and diverse flora and fauna, so campervan hire really is the ideal holiday for Wales, allowing you to get up close to the wildlife and stay right within the stunning landscape you came to admire. From the lush fields of deer at historic Margam Country Park to windswept Caldey Island near Tenby Harbour, Wales boasts an unrivalled outdoors experience. With campervan hire, everything’s in reach. In Pembrokeshire, you can enjoy Britain’s only truly coastal national park, with its dramatic cliffs, beaches and woodland – just taking your campervan on a drive over this striking landscape is enough recommendation for a campervan holiday to this beautiful region. 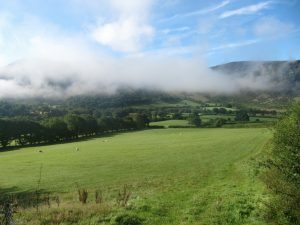 Then there’s magical Powys in central Wales, with the world famous Brecon Beacons National Park, featuring castles, waterfalls and rolling hill sides. Or there’s Carmarthenshire, which home to the National Wetlands Centre, a firm favourite with both kids and adults, and is also home to the spectacular ‘Heart of Wales’ train route between Swansea and Shrewsbury where, if you leave your campervan behind for a day, you’ll see rugged scenery and panoramic views from some of Britain’s highest viaducts. Hiring a campervan for your trip to Wales offers many advantages, not least of which is the freedom and flexibility to choose what you want to see and get between sights and attractions with ease. Campervan hire also offers one of the most comfortable ways to see Wales, giving you ample space for luggage and purchases as well as room to stretch out and relax on a long drive. This is one of the reasons why a campervan and motorhome hire holiday is so popular with children: as well as the sense of adventure of exploring Wales with your own moving home, it also takes away the boredom of a long journey by allowing the children to chill out in the back with games, books and TV. Wales also has great facilities for campervan holidays, with its many national parks offering first rate facilities. And that’s the joy of a campervan holiday – you don’t just go to see a place like Snowdonia, you stay right there among the lakes and valleys. There couldn’t be a better way to see Wales than that!